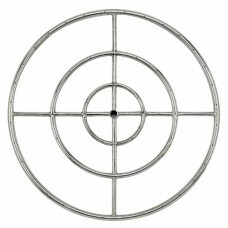 In order to get just-the-right effect from your fire glass and flame display, you need to make sure that your flames are realistic and distributed evenly. 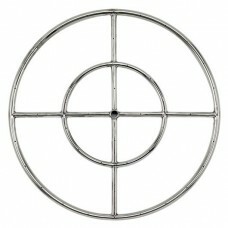 In order to achieve this, you need a high quality fire pit ring burner. 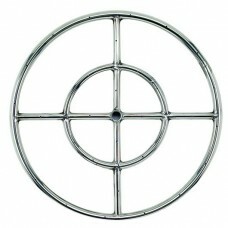 Our fire pit ring burners fit on top of your fire pit burner pan. 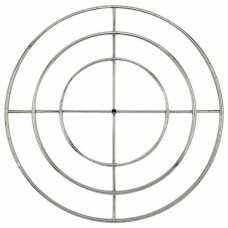 All fire pit ring burners are made of high grade 304 stainless steel which ensures their durability under extreme heat and severe weather conditions. 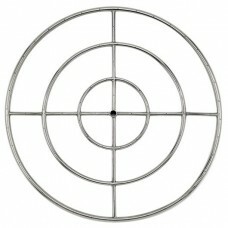 The cross bar design provides for better flame distribution. The holes in the rings are drilled, not punched, which prevents any loud whistling noises. 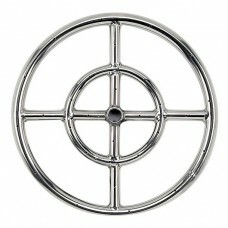 The ring burner works best under 2 - 4 inches of fire glass. 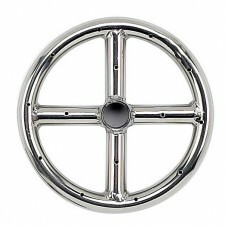 Our fire pit ring burners are available in several sizes and you should choose the size that is at least 6 inches smaller than the internal dimensions of your fire pit. Intallation is easy!